MILAN -- Fiat S.p.A. raised its full-year earnings targets after consolidating Chrysler Group into its earnings. Fiat forecasts 2011 earnings before interest, tax and one-time items, which Fiat calls trading profit, of about 2.1 billion euros ($3 billion) and revenue of more than 58 billion euros, the company said on Tuesday. The previous target, which did not include Chrysler, was for trading profit of as much as 1.2 billion euros and 37 billion euros in sales. Second-quarter trading profit advanced 71 percent to 525 million euros from 307 million euros a year earlier. Profit exceeded the 494 million-euro average estimate of nine analysts surveyed by Bloomberg. Revenue gained 40 percent to 13.2 billion euros. Sergio Marchionne, who runs both carmakers, is planning a merged management structure for Fiat and Chrysler as he moves forward on combining the two. The Italian automaker last week increased its Chrysler stake to 53.5 percent. Fiat earnings include Chrysler results from June 1. Marchionne, 59, aims to merge the carmakers to reduce costs and achieve a target of more than 100 billion euros ($140 billion) in revenue by 2014. He said in May that the timing hasn't yet been decided and that a combination isn't likely this year. "We believe Fiat offers a unique combination of structural and operational value creation," Goldman Sachs analyst Stefan Burgstaller, who has a "buy" rating on the stock, wrote in a note to investors last week. "Successful execution of the five- year plan offers further operational upside." Chrysler posted second-quarter adjusted net income of $181 million compared with a loss of $172 million last year, the automaker said Tuesday in a statement. Including the repayment of U.S. and Canadian government loans, Chrysler lost $370 million in the quarter, the company said. Fiat, initially granted a 20 percent stake in Chrysler by the U.S. government, expects to hold 58.5 percent of the third- biggest U.S. automaker by the end of 2011, after getting 5 percent in return for developing a fuel-efficient car for Chrysler. The United Auto Workers union's trust will have the remaining 41.5 percent. Marchionne will end up paying about $2 billion to reach the 58.5 percent holding. Marchionne has laid out a plan to use common technology for Fiat, Chrysler, Jeep, Dodge and Alfa Romeo models. Marchionne last month stopped selling Chrysler in continental Europe after four decades, converting the brand's dealers to Lancia. The move is part of his plan to end losses in Europe and cut costs by 1.5 billion euros by 2014. 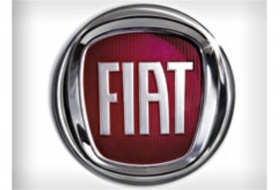 Fiat struggles in Europe to compete with Volkswagen AG and PSA/Peugeot-Citroen. The company, which doesn't breakdown results by region, lost about 1 billion euros last year on its home continent, according to Max Warburton, a London-based analyst at Sanford C. Bernstein. Fiat's sales in Europe fell 13 percent in the first six month of the year to 530,228. The Italian carmaker counts on Brazil, which the CEO calls "the Cinderella story" of the group, to counter the European losses. Fiat sales increased 4.9 percent in the country in the first half to about 290,000 cars, according to Anfavea, the Brazilian car manufacturers' association. Fiat retained the leading position with a 22.4 percent market share in the first six months, it said earlier this month.